Question about riding 2 up? OK, so here is my problem. 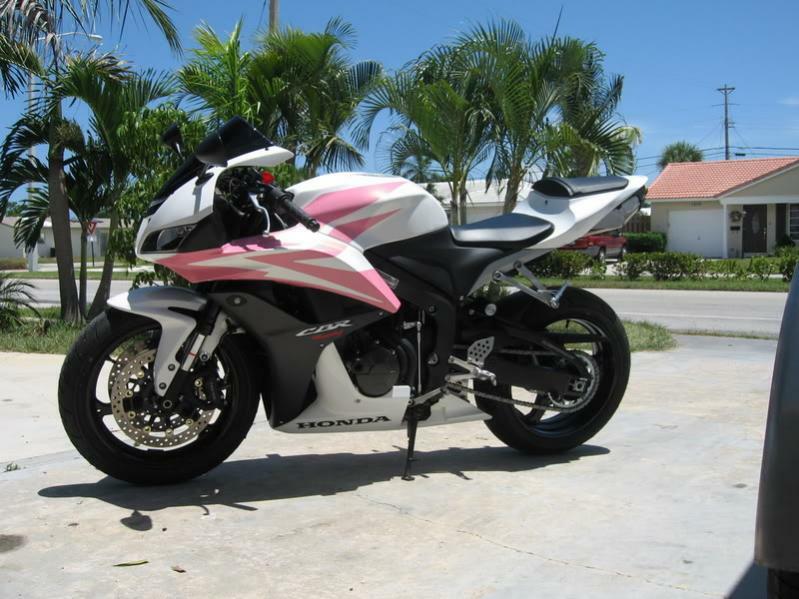 I have a 96 900RR, my wife is 4'11", 90 lbs. Having her on the back isn't the problem, problem is comfort for her. The way I am leaned over on the bike makes it hard for her to even be remotely comfortable. I move back as far in my seat as I comfortably can, but she is still uncomfortable. For stops she can reach around and put her hands on the tank to brace herself, but on straights, she complains about her back, and just plain discomfort. Any suggestions for making it a more comfortable ride? On straights, I try to sit up as much as possible for her to be able to sit up right, but it just doesn't work too well. I want to ride more with her, but if it doesn't get better, she is not going to want to ride. I get enough alone time, but every once in a while it's nice to go out with the missus. I know it might be a different situation for most of you guys, as my wife is very petite. Thats kind of hard. The main reason sounds like the height issue which is holding her back from comfort. This isn't a suggestion, just a comment on what I saw one couple doing. Their situation was very similar to yours. What he did was take a military web belt, adjusted to fit snugly around the outside of riding jacket such that his wife could hold on to that instead of trying to reach completely around his torso to hold on. They said it worked great for them. Generally on straights, she will rest her hands on my shoulders and her elbows in my back for a short time when she starts to hurt. Just looking for a more permanent or at least easier solution. I may have to look into something along those lines. I have a nylon duty belt, from my corrections days, so maybe we can look into the. slowturtle, she does the same thing sometimes too. but she has a short torso, so it's just a lot of work. We have tried a few times to figure something out. Figured I'd come here for some advice, to see if anyone else has the same issues with a petite woman. Nice avatar you got there gotcbr, I have the same sticker on the side of my AR-15. uh hows her core muscles? sounds like what you get when you first start riding a bike. This is going to be really unpopular (sorry! ): Thought of getting a more upright bike? Standard or even cruiser style? That's what she seems to want. They are OK, probably could use a little more work. Maybe over time, she will get used to it, and find a comfortable way to ride. This is my, (our) first bike, that's why I was asking opinions. I guess over time she will get used to it with more regular riding. Actually, that is the last thing she wants. She doesn't not like, nor want to get that kind of a bike. I think she'll like the pink, PROBLEM SOLVED!! LOL! <<<< your wife.. mine too now that i think about it hahaha! I had a similar problem, solved it with a Givi tail trunk. However, that said, after I got it I saw a simple mod. The guy added a flat braket to the back of his seat and mounted a small backrest on that. The basic issue is lack of security and no hand holds if I'm reading it right. Once my wife got the back rest, she could relax and enjoy the ride. Quick Reply: Question about riding 2 up?